Joe completes his first Triathlon! 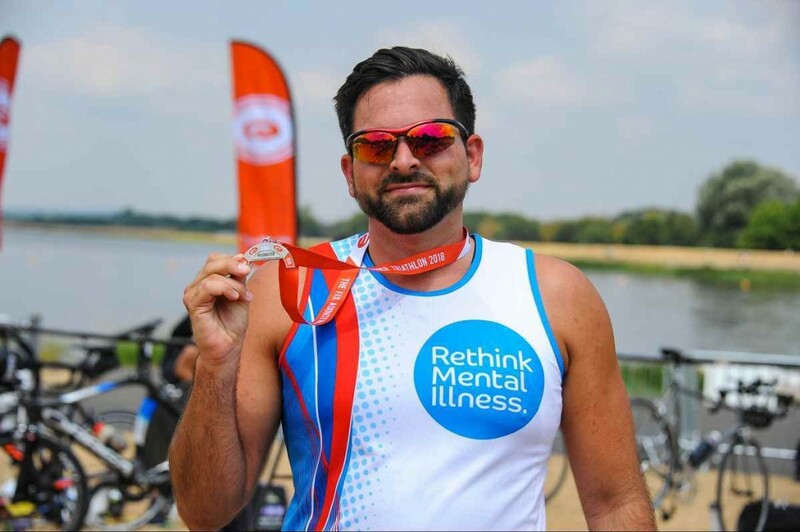 Huge congratulations to Joe, who successfully completed his first Triathlon last weekend, in aid of APP and ReThink Mental Illness! 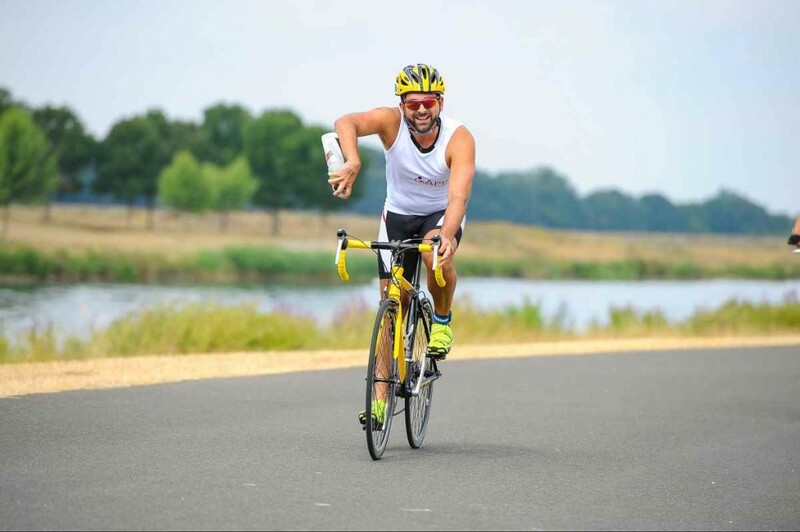 Joe battled the blazing heat last Saturday, 21st July, to cycle, run and swim the Triathlon course at Eton Dorney Lake in Windsor. Joe said: "Triathlon completed!!! £995 raised!! Two sore legs!!! Keep up the good work and thank every single one of your staff for the work they do, without them people would suffer and not get the help or support they need. So a massive thank you to you." 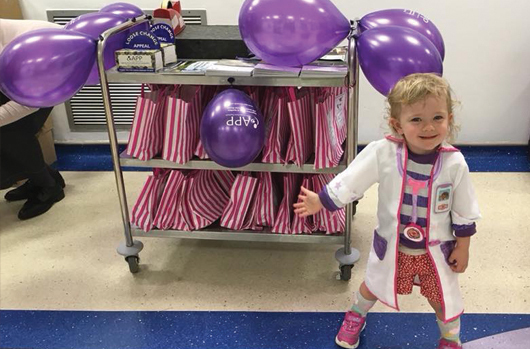 APP says thank you so much for taking on this amazing challenge and for smashing your fundraising target too - such an inspiration to us all! 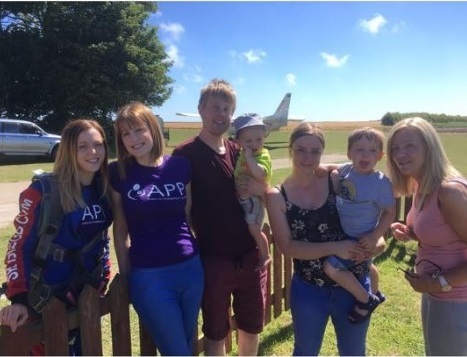 Three Cheers for Megan who bravely completed her skydive in aid of APP on Saturday! Megan's first jump scheduled for the beginning of June was postponed on the day due to poor weather conditions, but the sun shone brightly last Saturday, 30th June, for Megan's jump to take place! After Megan's jump she posted up on the APP Facebook page about her experience, and said: "I DID IT! Absolutely 100% the best thing I've ever done in my life...I enjoyed it so much, I'm booked in for a second turn at 3pm (at my own expense!) Thanks to everyone who has sponsored me, you've really made a difference!" And for her second jump, she managed to persuade her sister and partner to join her! Megan said: "It was absolutely amazing! If you've never done one I recommend that you do. I simply can't put it into words how much of an experience it was. I'm so pleased at how much awareness we have raised as well, there are so many people who have sponsored me that simply didn't know about PP before. I feel so proud of myself and my family!" 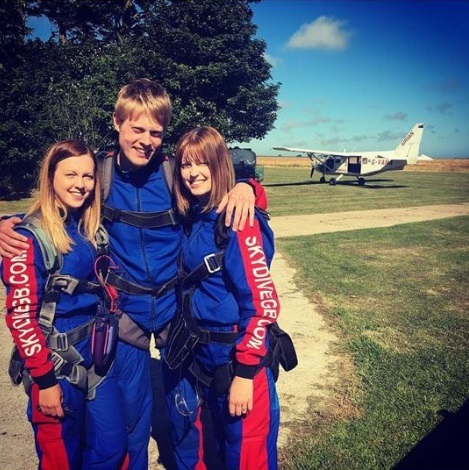 Megan chose to jump in aid of APP after her sister suffered with Postpartum Psychosis in 2017, she said her sister "was lucky enough to be given a place in a Mother and Baby Unit in Leeds where she could be looked after by a psychiatric team whilst remaining with Ethan. They were accompanied 24 hours a day to ensure their safety and it is charities like APP that help campaign for these wonderful services. Hayley has since benefited from other APP services such as the use of other women’s stories to help process what has happened to her. Without this support Hayley wouldn’t have made the progress she has made in such a short space of time. As a family also recovering from this traumatic time we have benefited from the resources APP provide." APP are also very proud of you Megan, and congratulations on completely smashing your fundraising target too, amazing! You can still donate to Megan's JustGiving page here for the next couple of weeks. Thank you once again to Megan for her wonderful support and heroic jump in aid of APP! 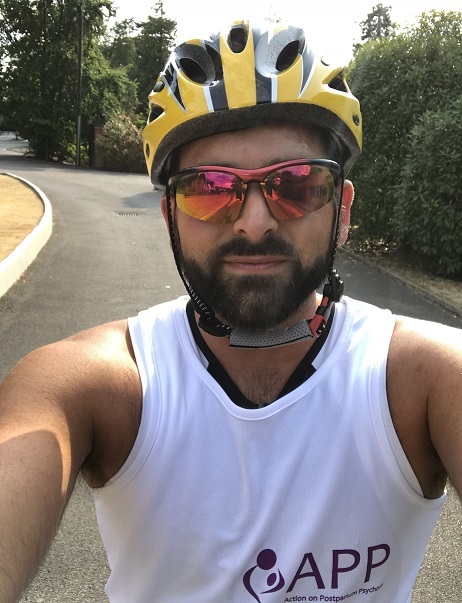 A big Thank You to Joe Kettle who is aiming to complete his first ever triathlon on Saturday 21st July in aid of APP and Rethink Mental Illness! 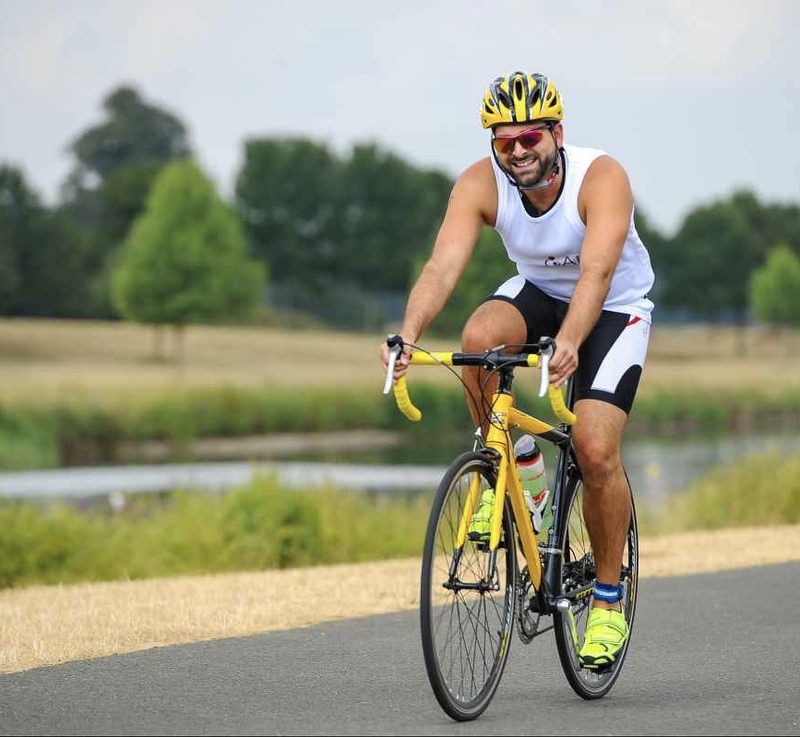 Joe's Triathlon takes place around the superb Dorney Lake in Windsor, and a former Olympic venue; it offers a fast, flat course with closed roads and ideal swimming conditions. 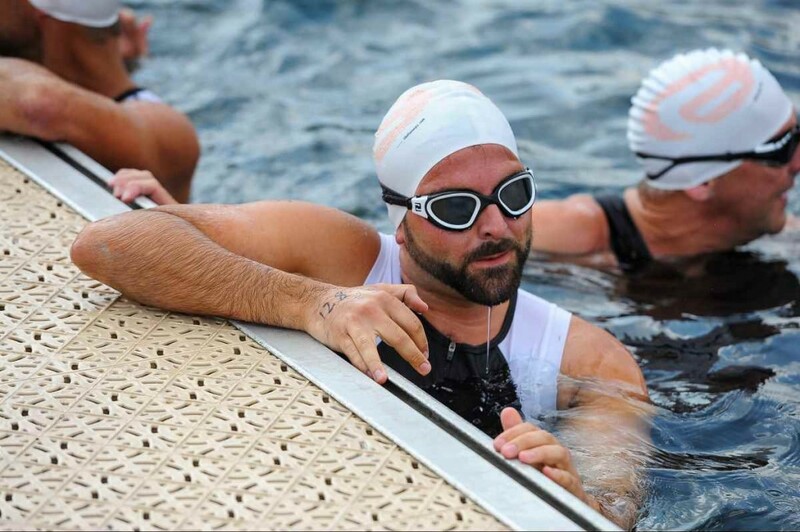 The triathlon takes in a 400m swim, a 20k bike ride and a 5k run! Joe says: "Most of you know I am very unfit, I haven’t ran for years and it’s been 3 years since my last fund raiser. 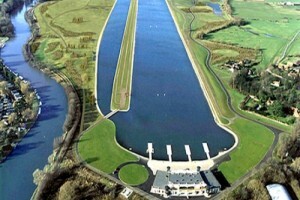 On the 21st of July I am going to complete my very first Triathlon. I’ve not swam since a teenager and never really been a cyclist, so I’ve got to learn fast! But under pressure reveals true character and I believe with a strong mind anything is possible." Please support Joe's amazing challenge and donate via his Virgin Money Giving page here. APP wishes Joe the very best of luck with this enormous challenge and hopes he has a fantastic day at Dorney Lake! Thank you to Gillian and her daughters! 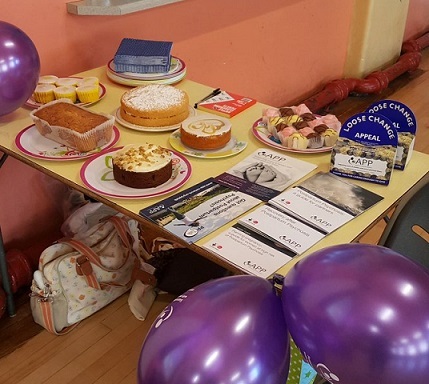 Many thanks to Gillian and her daughter who successfully raised over £300 for APP and a local cancer hospice at their recent Craft and Cake sale in the Wirrall! 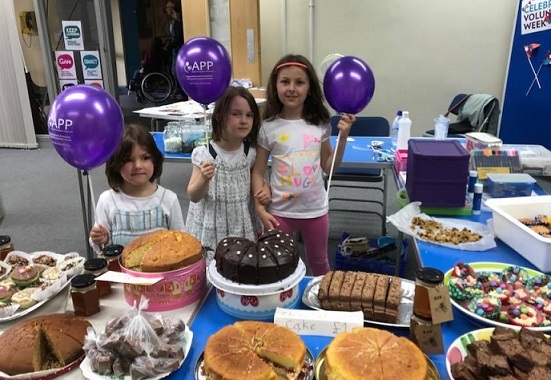 Gillian said: "For a long time my daughters Ishbel (7), Eryn (5) and Carys (4) have been very keen to do a charity cake sale after seeing one of their friends do one outside their house last year. So after Easter I decided we should give it a try and do a joint one for APP with my friend Michelle and her daughter Niamh (6). As they had a friend in the local cancer hospice we decided to make it a joint event with the money being split between the two charities. We thought it would be good to do it at our local library who were very supportive and sat down with the children to discuss the details and set a date. After that the children made lots of cards and also handmade jewellery to sell and nearer the time baking cakes as well. We advertised with lots of posters and flyers. On the day we were quite overwhelmed with friends contributing and attending. My friend Michelle also received a phone call on the day of the sale from ASDA where she works to say they had seen her poster and would like to match the funding. We were delighted to raise £350 which as a result of the matched funding can go to both APP and St John’s Hospice. Everyone enjoyed the day very much and are delighted it went so well." 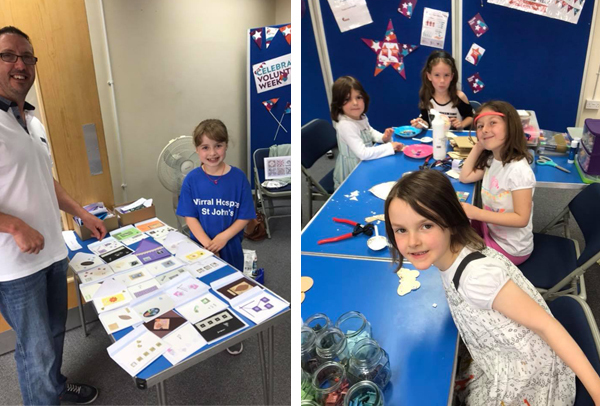 It looks like everyone had a great day at the West Kirby Library last week! 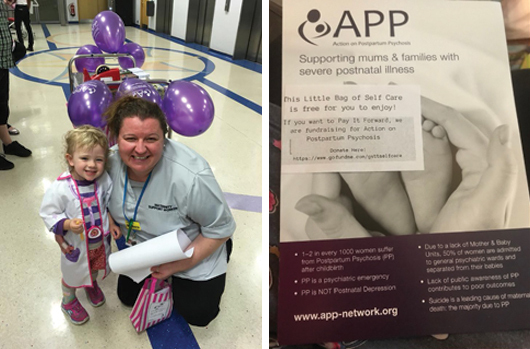 APP thanks Gillian and her daughter for their support and huge effort involved in putting on this event! Friends of Action on Postpartum Psychosis are holding a CHARITY GALA at Overseal Village Hall and Recreation Ground on Saturday 14th July. 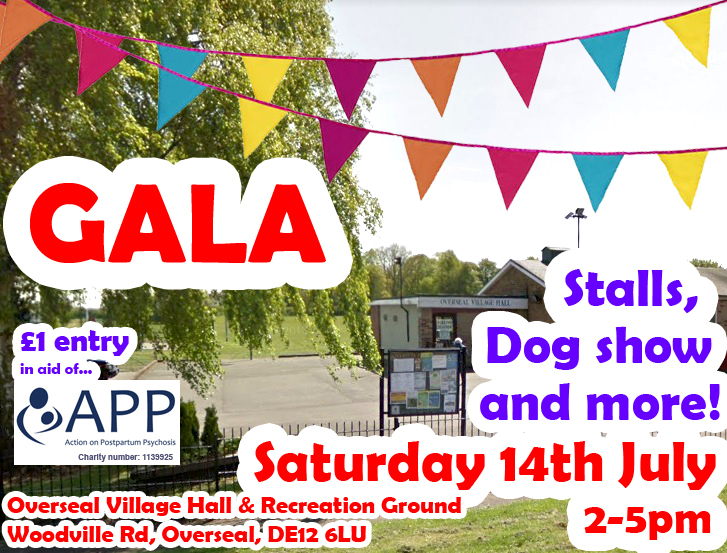 The Gala is taking place on Saturday 14th July at the Overseal Village Hall & Recreation Ground, Woodville Rd, Overseal, DE12 6LU, from 2.00 to 5.00pm, with entrance fee of £1. APP would like to thank all the Friends of APP for their consistent and solid support. We hope you have a fantastic (and sunny!) day on 14th July - thank you. 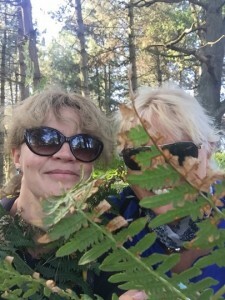 Anya & Vicky are trekking Cambodia! 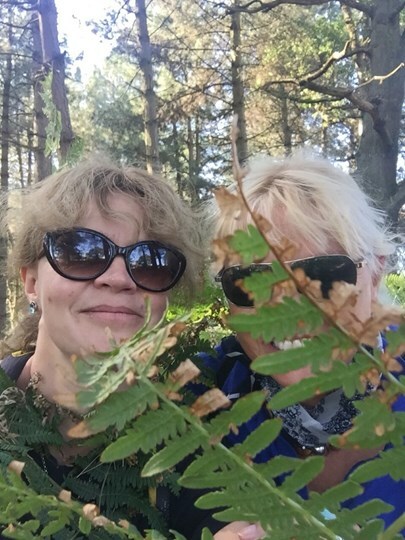 APP's Media Advisor, Vicky, is taking on the incredible challenge of trekking Cambodia, alongside her good friend Anya, in aid of APP! 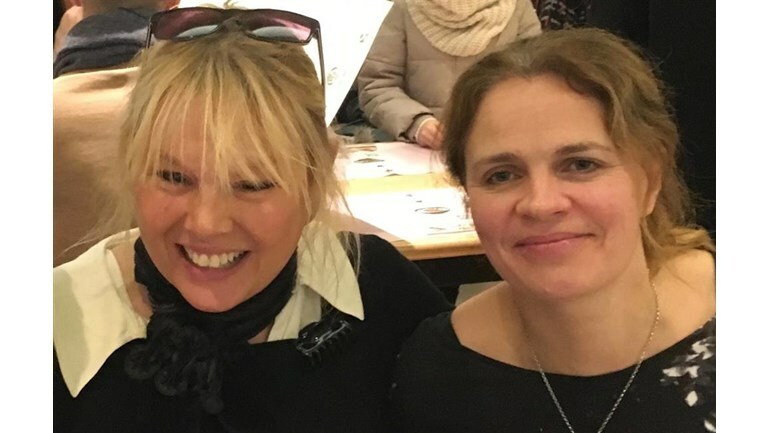 Vicky and Anya have chosen different charities but hope together to raise thousands, so have set a minimum target of £1500 each. Visit Vicky's Just Giving page here and please donate what you can. APP wish Vicky and Anya all the best with their training and trekking adventure, and say a very big Thank You! The Self Care Unicorn at Guys & St Thomas'! 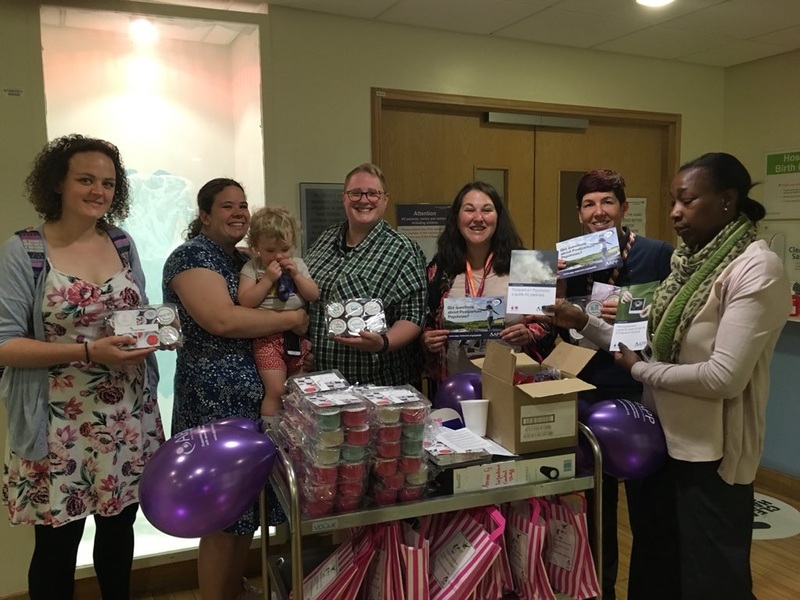 As part of Mental Health Awareness week, the staff in women's services at Guys & St Thomas’ could take home an amazing ‘Self-Care Goodie Bag’ in return for a suggested donation to charity. 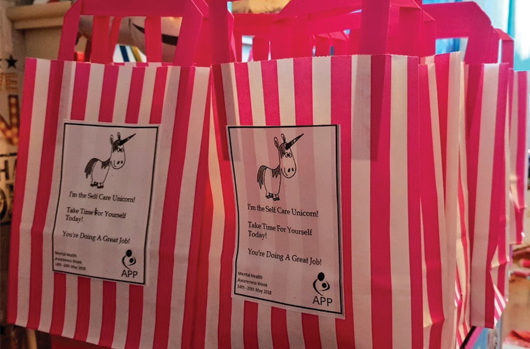 The goodie bags included, amongst other gifts and APP leaflets, some gorgeous donated gifts from LUSH, alongside mouth-watering cakes from Print Cakes! And there were indeed some brilliant photos from the day (see below) with some very happy faces from the staff at Guys & St Thomas’! 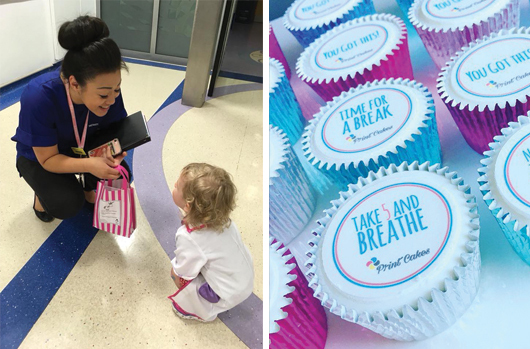 Laura Costello has since been nominated for an #NHS70 award for the Self Care bags – what a fantastic achievement – vote for Laura here! And you can still donate via the Go Fund Me page here - thank you. 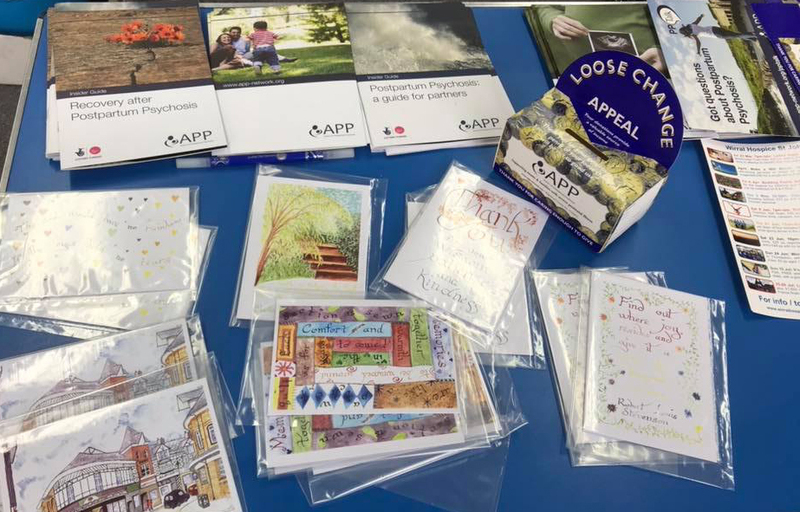 Thank you so much to everyone involved in organising the day, and for all the hard work involved pulling it all together, we know it takes a lot of time and energy, so a very big THANK YOU from us all at APP! Gillian's Charity Cake & Craft Sale in the Wirral! 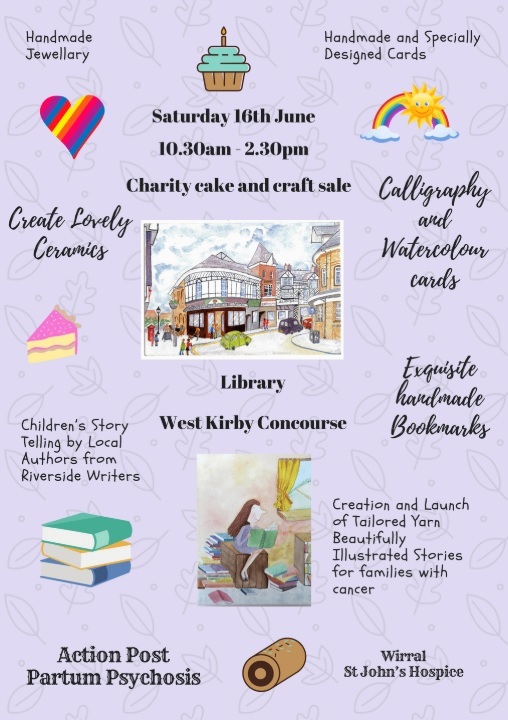 Huge thanks to Gillian and her daughter, who are busy organising a Charity Cake and Craft Sale on Saturday 16th June, at the West Kirby Library the Concourse in Wirral! There will be plenty of delicious cakes on sale, as well as a host of craft stalls including calligraphy and watercolour artwork cards and jewellery making! The event will also feature Story Telling sessions with the local writers group, and lots of second hand books for sale as well. We think this sounds like a really brilliant event, and we hope it’s a great day out for everyone! Thanks to Gillian and everyone who is helping to support this fantastic event. Sarah's Jolly Jingles for APP! 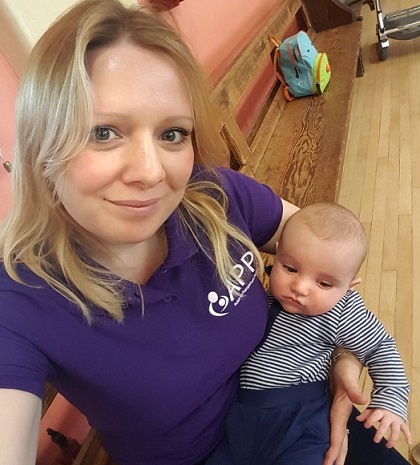 A big three cheers for Sarah who organised a brilliant cake sale and raffle at her local Jolly Jingles music session on 7th May, as part of our Music 4 Mums initiative in aid of APP! Sarah has also been extremely busy on the radio with two appearances this week as well! 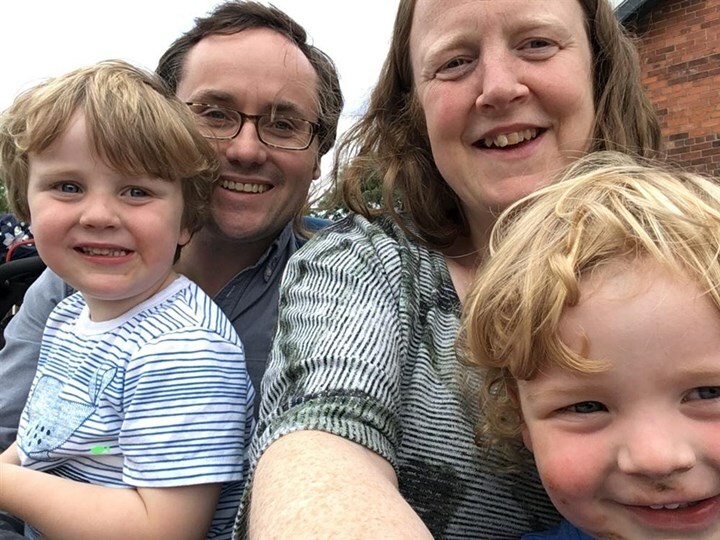 As one of our media volunteers, Sarah was interviewed by Zetland FM (listen again here) as well as on the BBC Tees (listen again here), talking so engagingly about maternal mental health and her own PP experience. APP say Thank You so much Sarah, what a star! Helen is running the Royal Parks Half for APP! A very big Thank You to Helen, our second runner in the 2018 Royal Parks Half Marathon! The stunning central London Half is taking place on Sunday 14th October and takes in some of the capital’s world–famous landmarks on closed roads, and four of London’s eight Royal Parks; Hyde Park, The Green Park, St James’s Park and Kensington Gardens. My Sister in desperation googled and found APP and got the Guides produced by APP which were invaluable to me understanding my symptoms and knowing recovery was possible. As I began to improve I used the peer support forum to learn more and realise I was not alone in what I was experiencing. APP supported me and my family during a time of terrible upset and their patient information, training, research and awareness raising is invaluable. Perinatal mental health matters. It’s not easy to acknowledge that things can be awful at a time when they are supposed to be joyous. But the good news is, full recovery is entirely possible and in a weird kind of way, had it not happened, I might not have appreciated my beautiful boys as much as I do, and want to spend the majority of my time with them as I do now. Help is out there, in the form of APP and all that it is doing for awareness raising towards investment in this neglected and important area of care. Please give whatever you can in the hope that other new mums can be supported in a time of need." Visit Helen's Just Giving page here and please donate what you can. Thanks so much to Helen for taking on this challenge in aid of APP, and we wish you all the very best with your training!